Educators and trainers across the globe are dealing with constantly dropping learner attention spans. This article focuses on interactivity as one of the best approaches to address this challenge and lists down some of the most essential elements of interactive learning. What is the biggest challenge that educators and trainers in various capacities face today? Undoubtedly, it is dealing with the constantly dropping learner attention spans and engaging them through the learning session. Online learning bears the most brunt of this issue since there is no human touch involved, and you can’t even see the learners’ reaction in-person. So what can you do to address this issue? Well, interactivity could be one of your best bets to ease this problem. Games are an exceptional learning aid. They add an element of fun to learning and motivate learners to perform better without them even realizing it. Games let learners explore, try fail, try again, and learn. Players seek risks, challenges, rewards, and recognition when they play a game. There are various game mechanics that can be applied to these games to fulfill the above-mentioned human motivations. Digital games based on popular concepts like "Spin the wheel", "Jeopardy", "Who wants to be a millionaire", "Treasure hunt", or even the regular crossword, can be a great hit with online learners. Providing learners with an opportunity to fail at guessing can actually improve learning quality. And that’s where quizzes and assessments come in handy. Quizzes are a great medium to test learner knowledge, measure their performance, provide feedback, and reinforce key concepts. The blog here lists down some essentials of stellar learning quizzes. When tasked with building an interactive quiz or assessment for your eLearning course, you could choose from a variety of formats like multiple choice questions, rapid-fire, trivia, fill-in type questions, drag-drop-sort, visual assessments, mind maps, flashcards, game-show style quizzes, and more. Scenarios recreate a real-life situation that a learner might face and expect the learner to make their own decisions and progress through it. They aim to promote in-depth learning and make learners aware of the various possibilities they will come across and need to respond to in a given situation. Learners become aware of and sensitive to the complexities in each path they choose. Goal-driven immersive learning scenarios, fact-based scenes, and branching questions are some interesting formats you could deploy for building engaging digital scenarios. Simulations promote the concept of learning by doing. They can emulate real-work applications or real-life processes so that learners can practice in a risk-free environment. Simulations come in handy when you need to walk your learner through a critical concept, process, or procedure. Role-based or process-based simulations, explorative simulations with picture, text, and video, and screen-component-based simulations for software training are the most preferred types of interactive digital simulations. Videos are the de-facto standard of communication today. If a picture speaks a thousand words, a video definitely speaks a million. And well, in this era of Netflix and YouTube, it is indeed a smart idea to harness the power of videos in your learning too. Videos have the power to turn passive content into an active experience for viewers and tend to engage learners faster compared to any other media. Interactive videos take this experience a notch higher as they are designed to transform the traditional video experience from a monologue into a dialog. These videos can be personalized, are capable of providing skip navigation, informative overlays, and quizzes, and feature engaging user interactions. Interactive learning is based on the premise that the learner interacts with the content to progress in the course and achieve the desired objectives. At the base of it all, there could be several reasons why you want them to interact. You might want them to move from one piece of information to another. Or you want them to collect some information and make decisions. You might want them to have a hands-on experience with a process or activity. Or you want to give them an opportunity to explore. 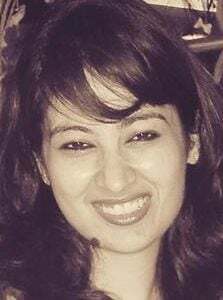 Once you understand why they need to interact with the course content, you will better understand what kind of interactive element(s) to include in your course. Once you decide on the kind of interactivity to be included in the course, you could build it using either the traditional skill-based approach or by using a rapid interactivity builder. Have you built interactive eLearning courses for your learners? Which elements have worked the best in your experience? Share your comments below. 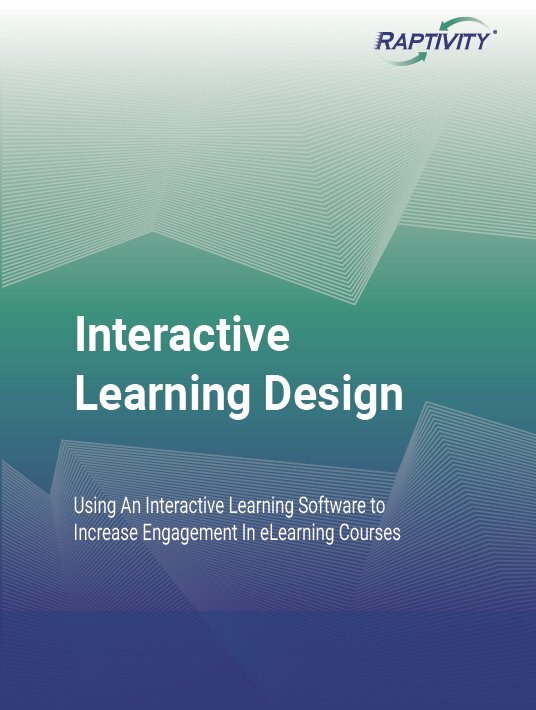 You can also download this free eBook to discover the key elements of interactivity and include them in your eLearning modules swiftly using an interactive learning software.